Carrot cake lovers unite! 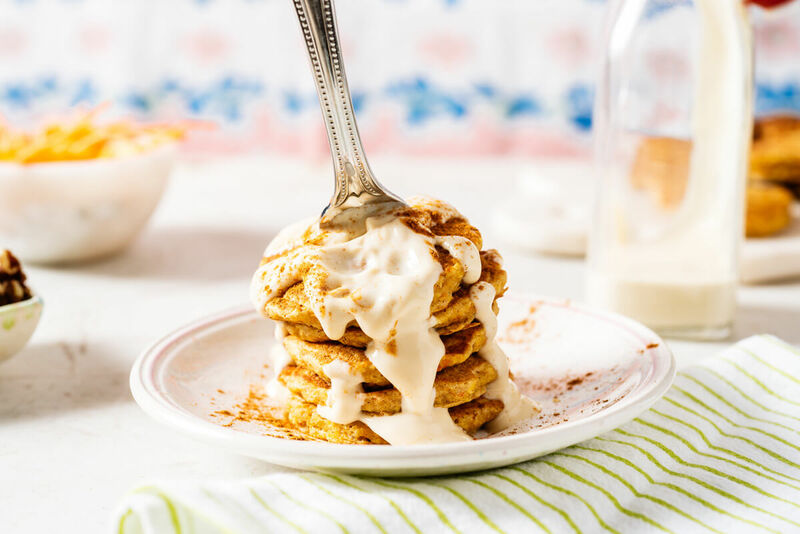 Now, you can quickly and easily make your favorite spring dessert in breakfast form while still enjoying the sweet spiced flavors and rich creamy frosting you know and love with these Mini Carrot Cake Pancakes with Vanilla Greek Yogurt Frosting. It’s not every day that you can have your cake and eat your veggies too however this recipes allows you to do just that! 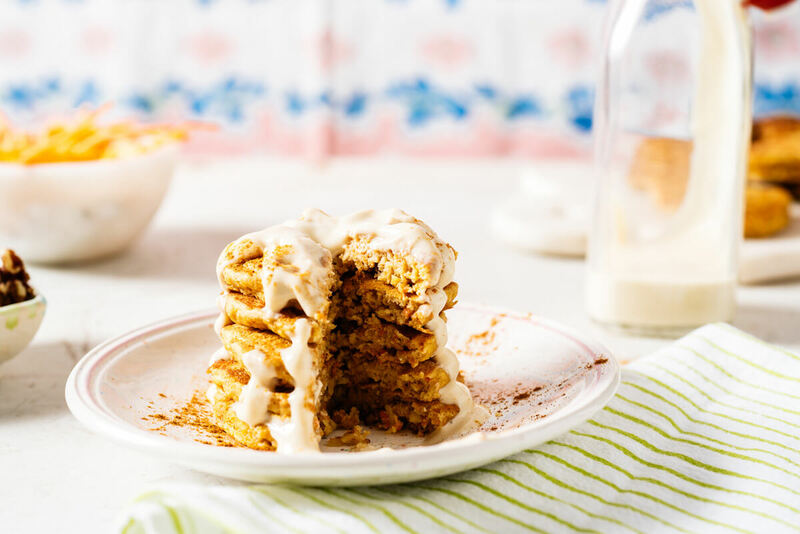 Serve as a delicious breakfast or brunch item, the carrot cake pancakes pack in nutritious ingredients like oats, walnuts, Greek yogurt and, of course, carrots. 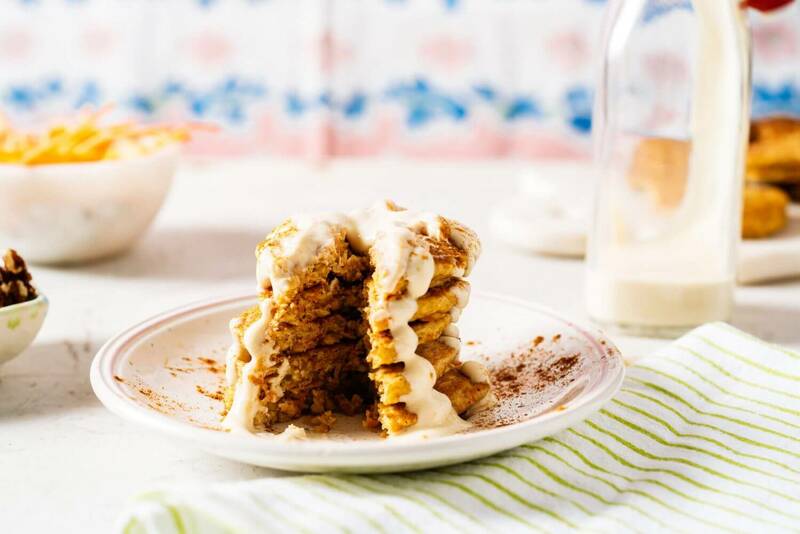 Plus, with just a few simple swaps, you can transform traditional cream cheese frosting into a smooth, rich vanilla Greek yogurt frosting that doubles as a creamy pancake topping. 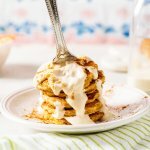 If you really want to go all out to play off the look of a layered carrot cake, double the frosting then stack the mini pancakes slathering vanilla Greek yogurt frosting between each layer. 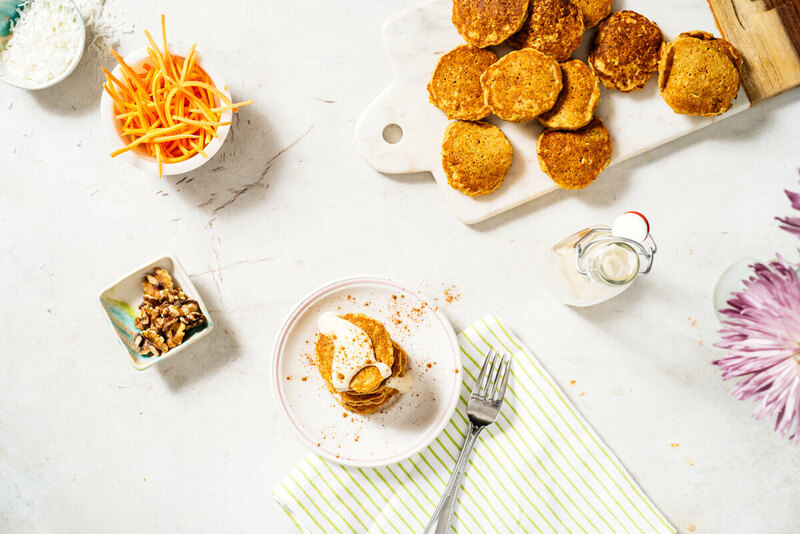 Finish off the recipe by topping each stack with grated carrots, ground cinnamon, or a sprinkle of toasted oats. Served with fresh berries, your spring brunch game just got even more on point. 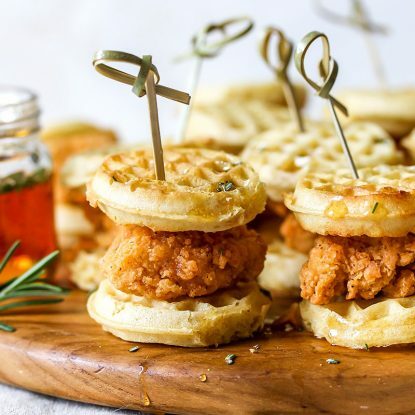 Do you skew sweet or savory in the morning? 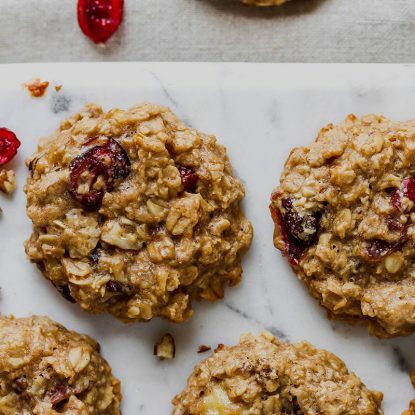 If sweet, then you don’t want to miss Baked Applesauce Cake Donuts, Blueberry Lemon Cheesecake Overnight Oats, Cranberry Oatmeal Breakfast Cookies or Cinnamon Breakfast Barley. 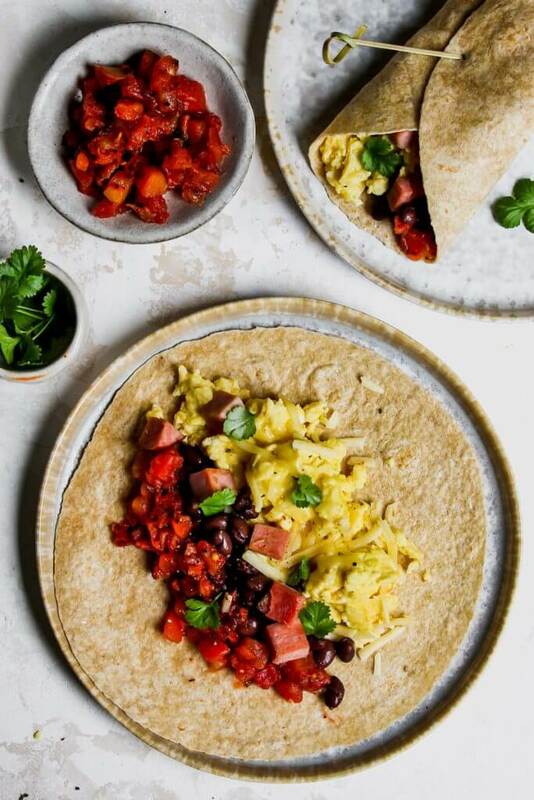 And if you just like an assortment, then check out these 31 Easy Low Sugar Breakfast Ideas for Busy Mornings or fun ways to boost protein at breakfast for more breakfast inspiration. In the bowl of a small food processor, combine oats, coconut, and carrots. Pulse until combined and small pieces form (about ¼-inch pieces). Remove and set aside. Clean out the food processor bowl; add walnuts and pulse a few times to form smaller pieces. Remove and set aside. In a medium bowl, whisk together milk, vanilla, oil, maple syrup and egg until combined. 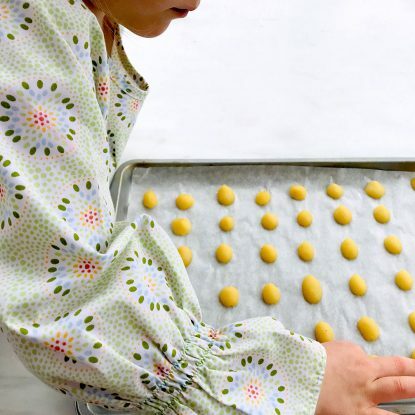 In a large bowl, stir together flour, baking powder, salt, cinnamon and allspice. Pour the wet ingredients into the dry ingredients and stir to combine. Gently stir in carrot mixture until combined. Heat a large, nonstick skillet over medium heat. Working in batches, drop mixture by tablespoonfuls into the skillet then sprinkle each pancake with a few chopped nuts. Cook each pancake for about 1-2 minute (or until edges dry and bubbles appear); flip and cook about 1 minute more. 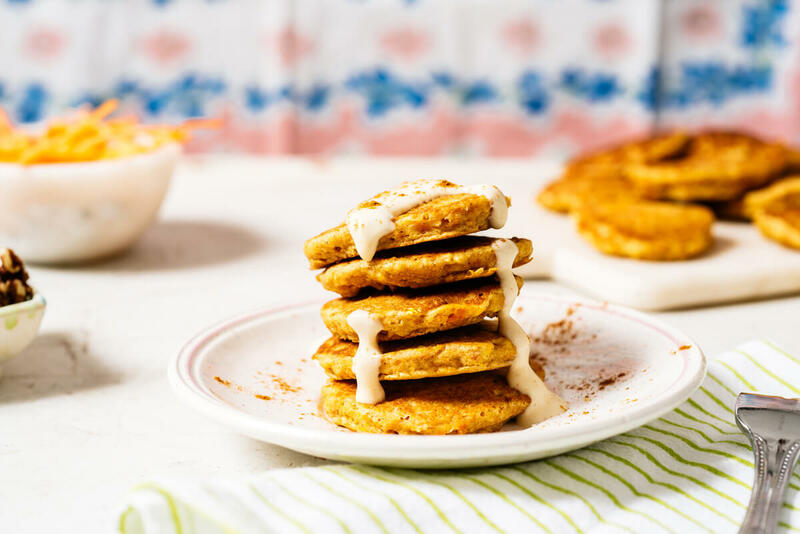 Serve immediately drizzling each stack with frosting and sprinkling with cinnamon. Whisk all ingredients together in a small bowl. Drizzle over pancakes to taste! 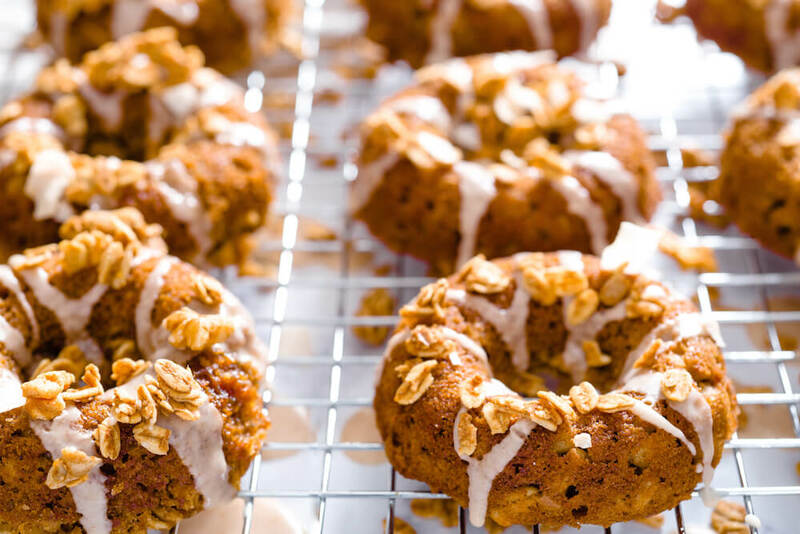 These decadent cakes are a clever way to work in many nutritious ingredients including carrots, walnuts, Greek yogurt, and oats.